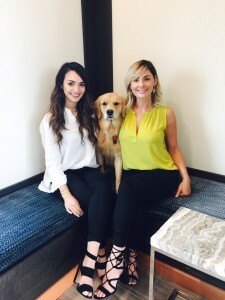 The all-new Texas 288 master-planned community of Meridiana has promoted Lindsey Denson to Director of Marketing and named Lizzy Martinez as its new Lifestyle Coordinator. In her new position, Denson will serve as the community’s point of contact for Realtors and corporate relocation managers in Brazoria County, Pearland and the Texas Medical Center. She also will coordinate events in these areas to present Meridiana to prospective homebuyers. As Lifestyle Coordinator, Martinez will plan on-site events for prospective homebuyers as well as resident-only activities including movie nights, wine tastings, fun runs, walks and holiday festivals. She also is responsible for the community’s Realtor incentive program, Meridiana University, whereby Realtors can receive up to $2,000 with the sale of every new Meridiana home in 2016 while earning entries for an end-of-year grand prize drawing of a $10,000 gift card. Fluent in Spanish and an avid fitness enthusiast, Martinez is a graduate of The University of Texas at San Antonio where she participated in club soccer, Habitat for Humanity and breast cancer awareness causes. Meridiana is the newest Texas 288 master-planned community south of the Texas Medical Center featuring new luxury homes from the $200s to the $500s by Houston’s leading homebuilders, resort-style Amenity Village, on-site elementary school and engaging outdoor learning and discovery experiences for every stage of life. Located on Texas 288 and Meridiana Parkway (formerly County Road 56) minutes south of the Texas Medical Center, it also is just north of several Brazoria County employers. For the latest information on Meridiana and its new homes, go to www.MeridianaTexas.com and sign up to receive e-mail updates from the community. Also, follow Meridiana at www.Facebook.com/MeridianaTexas and on Twitter and Instagram @meridianatexas.